Author L. Leander is pleased to announce the release of her new young adult historical fiction book, INZARED, Queen of the Elephant Riders. Bertha Maude Anderson was born in the Appalachian Mountains of North Carolina. Raised on a small farm, she lived a hard life far-removed from everything she craved. Misunderstood by her parents, her only confidante her brother Ezra, Bertha yearned for excitement. A Gypsy circus came to town and her world changed forever. 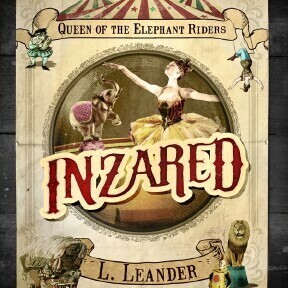 Coaxed into joining the Romanoff Brothers Circus, Bertha’s name was changed to INZARED, Queen of the Elephant Riders. She learned to ride Cecil, the elephant, and the two forged an unbreakable bond. Inzared fell in love, learned to co-exist with the Gypsies, solved a mystery and grew into a woman, all the while searching for the life she had always dreamed of. 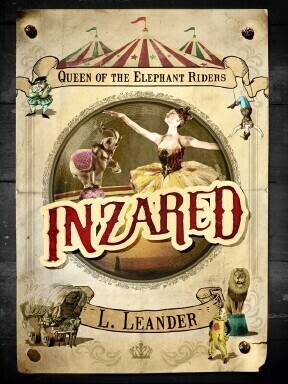 INZARED, Queen of the Elephant Riders was released on June 27, 2012. It is available on Amazon.com as an e-book. I absolutely loved this book and highly recommend it! Excellent and a real page turner. Full of surprises and life. Next Next post: Video Trailers: So Many Options!